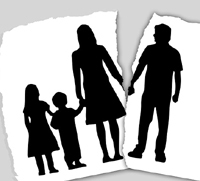 Many people in the state of Texas often ask the question if they can file for a legal separation. The answer is no, Texas does not have an option for filing for a legal separation. It is important to understand that every state has their own set of laws and statutes that govern all aspects of family law including Common Law Marriages, formal marriages, alimony, annulments, and divorce. It is also important to understand that if you are involved in a Common Law Marriage in Texas, and move out of the state, you will be under different jurisdictions. Whenever you are ending a marriage, it is imperative that you contact an attorney and find out the rules and statutes that are applicable to your state. If you are in either a formal or Common Law Marriage, and that marriage is ending, you will need to file a petition for a divorce. Sometimes, people may ask if they could file a legal separation based upon domestic violence. In the case of domestic violence, whether you are in a Common Law or Informal marriage or a formal marriage, you will not need to file a legal separation, but you can file an injunction of protection. In fact, filing for an order of protection is essential in safe guarding the well being of the spouse being abused as well as any children in the household. Do not neglect to seek legal protection in any case of abuse. As soon as you begin the divorce proceedings, your attorney can petition the court for temporary orders. These temporary orders will serve the same function as a legal separation would in another state. The temporary orders will determine who stays in the house while the divorce is underway. More issues that will be addressed by the temporary orders include child visitation, support, spousal support, and division of community property. These temporary orders will remain in effect until the divorce becomes final and either the judge amends the orders or sustains them. However, it is important to understand that you are legally bound to adhering to the terms of the temporary orders. Texas is a No-Fault divorce state. That means that one party can’t use adultery as grounds for divorce. This has led many to mistakenly believe that it is ok to date during the midst of divorce proceedings. It is wise not to date as this can complicate the divorce proceedings, especially if you end up going to trial. It is also important to realize that Texas does not have alimony, but rather they have maintenance. However, there may be a number of requirements that will need to be met for a judge to award maintenance. It is important to discuss all of these options with your attorney so that you are fully aware of what your options are. Hiring an attorney is the best step that you can take when you are undergoing divorce. Whether you feel that you and your partner can negotiate the terms of the divorce amongst yourselves, or if you are preparing for a bitter legal struggle, an attorney who specializes in family law is your best weapon of defense for ensuring that your needs are represented and met.